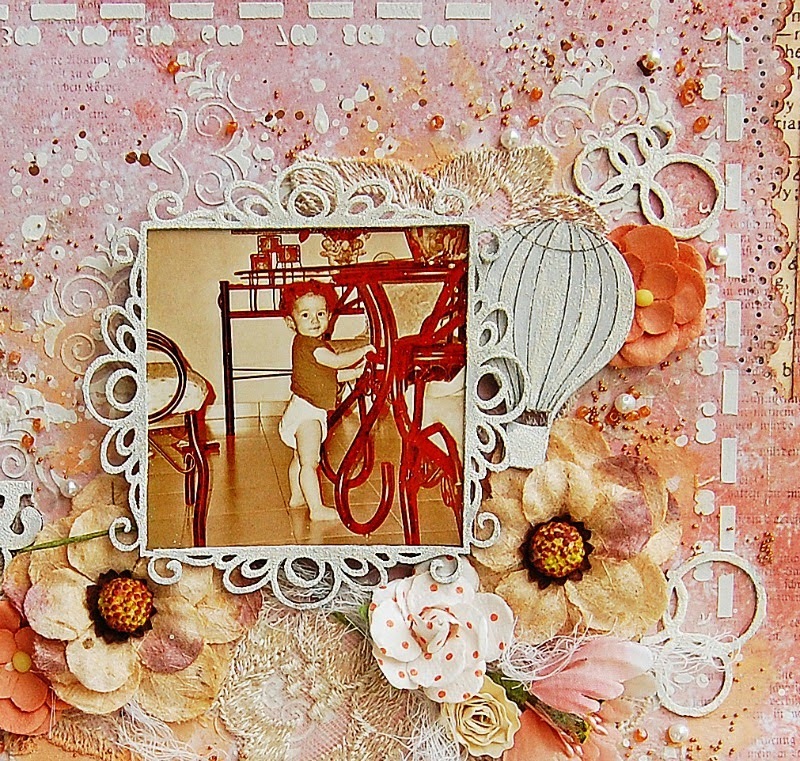 I made this page using the new releases chippies by 2Crafty Chipboards, they are so gorgeous! I gave a coat of gesso to all my chipboards and while the gesso is still wet I applied white embossing power and after dry, it gives a cool sand effect to the chippies....love it! I worked with the Thoughts Keepers collection by 7Dots Studios. I framed my photo with the new Doddle Frames and added one of the balloons from the Mini Hot Air Balloons for a pretty detail to my page. 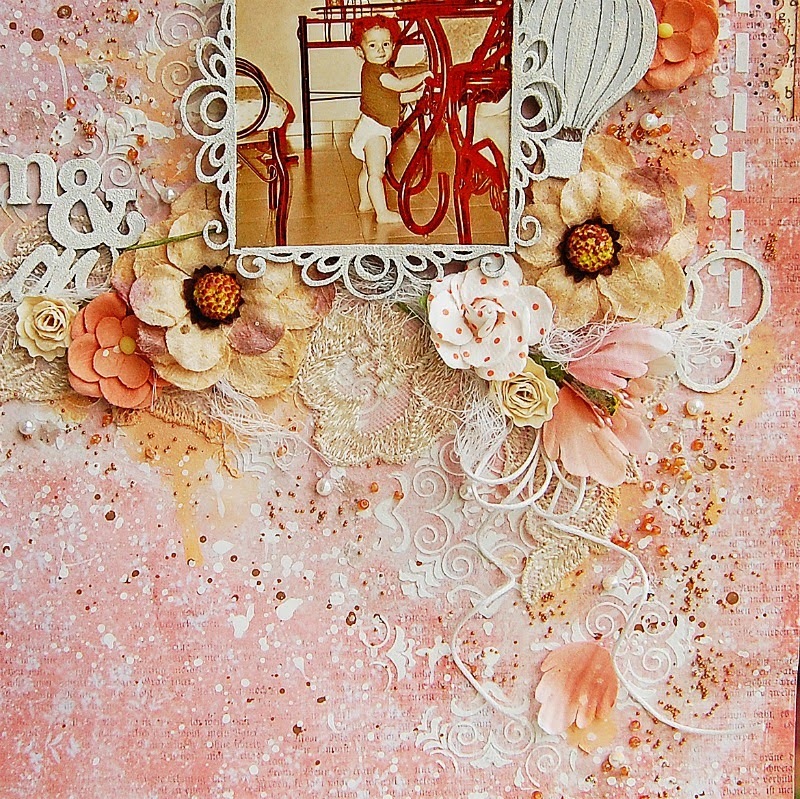 I love the new Bubble Clumps chippies and added around my photos and flowers. 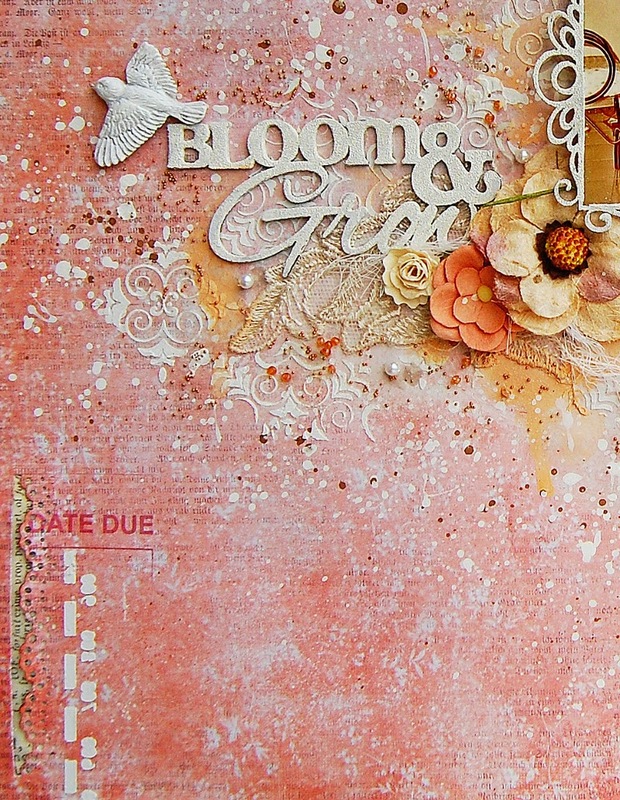 My title is the Bloom & Grow chippie that I gave the sand effect with embossing power and gesso. 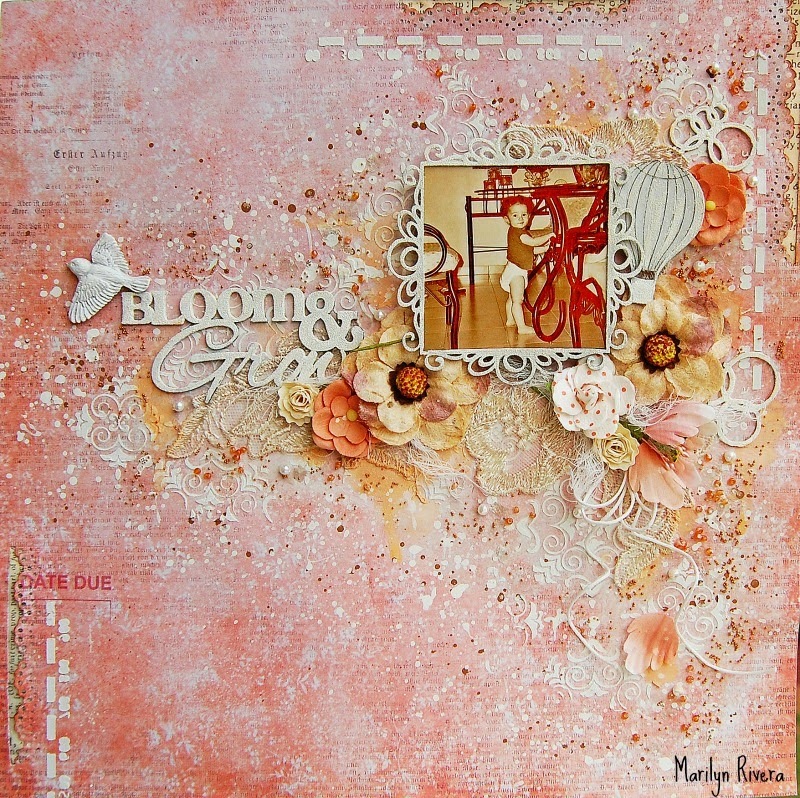 I used Prima Marketing art basics: molding paste, gesso, soft matte gel, Color Blooms and flowers. This is just beautiful. You have such an eye for layout, design, colors, textures and colors - which is why all of your layouts are so wonderful. Thank you for sharing. Gosh, this is such a gorgeous one! I adore every little detail of it!